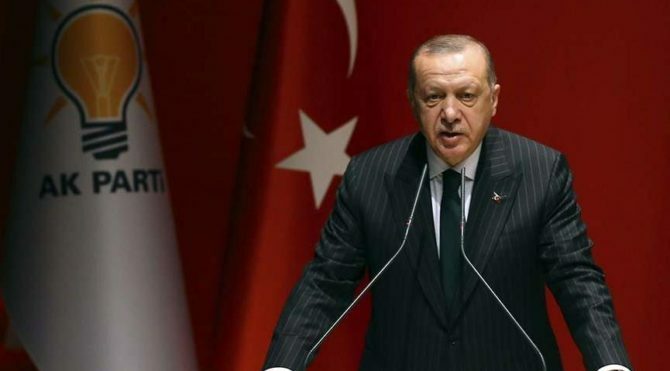 Turkish President Recep Tayyip Erdoğan said his governing Justice and Development Party (AKP) would not pollute the nation’s towns and cities with banners, flags and megaphones at March local elections. “There is no need for such things today,” Erdoğan said at a meeting at his party headquarters in Ankara on Thursday, according to local media, including Sozcu newspaper. “We find it very primitive. Old methods of campaigning have been polluting our cities." Turkish elections are known for their vibrant campaigning, with political parties competing for space for their flags and banners, hung across streets, on lamp-posts and prominent buildings, and blaring messages from loud speakers hooked up to vans and buses. Giant posters of Erdoğan figure prominently in cities throughout Turkey all year-round. Erdoğan said the AKP would instead focus on using the internet and social media to attract voters. AKP officials will only be permitted to hand banners and flags at party offices, he added. It was not immediately clear how other political parties who are fighting the March elections would react to Erdoğan’s change in campaign tactics. The elections are seen as a key test of Erdoğan’s popularity after a currency crisis, which peaked in August, ravaged the economy. Erdoğan, who gained vast new executive powers at nationwide elections in June, also revealed the names of 14 more candidates for mayors of key provinces, including several in the east and southeast of the country. He has yet to announce the party’s candidate for the country’s largest city of Istanbul. AKP’nin belediye başkanı adayları açıklanmaya devam ediyor… Erdoğan 74 ismi açıkladı!